Marek's disease virus (MDV) is a herpesvirus which causes a lymphoproliferative disorder of the domestic chicken worldwide. This serious economical problem caused by MDV was mostly solved by development of an effective vaccine against MDV. The development of live vaccines against the disease is remarkable as it has led to the first example of a commercially available vaccine against cancer as well as against diseases caused by herpesviruses. This volume gives an overview on many aspects of MDV research and summarizes recent advances in the field. The topics include the history, biology,and molecular biology of MDV, pathogenesis, vaccinal immunity, immune response, genetic resistance and development of recombinant polyvalent vaccines. 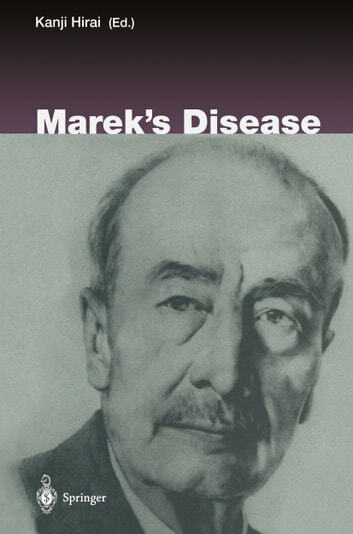 It is hoped that this volume will make an important contribution towards the control of infectious diseases.